Out of 202 deceased former football players total -- a combination of high school, college and professional players -- CTE was neuropathologically diagnosed in 177, the study said. The disease was identified in 110 out of 111 former NFL players. It was also found in three of the 14 high school players and 48 of the 53 college players. I'd love to see Brady visiting Goodell in prison one day, for Goodell's part in the various coverups on this science. Hand him some deflated footballs. heard a great interview today with Dr. Bennet Omalu (guy credited for discovering CTE in repeated head trauma sports). "listen, you guys are not understanding.. 100% of all professional athletes in sports with repeated head trauma develop CTE.. 100%"
he was very blunt.. "all it takes is one concussion to start the process" ... "we've known this for centuries, this is nothing new. we know what happens to the brain when it receives repeated trauma"
it's interesting hearing him talk about it versus these other researchers.. he's way more direct & worried. he believes boxing, tackle football, hockey, etc.. should not be publicly funded for anyone under 18.. ie, no tackle football in high school etc.. there's no boxing in h.s... so he says, there shouldn't be football either. he said most of these injuries happen in practice, not in the actual games.. which got me also wondering, so many of these practices involve athletes who are dehydrated/lost significant amounts of water, I wonder if that increases the risk of brain injury? edit: personal experience: I suffered one really bad trauma to my head in ~2003 or so.. full speed head to head collision with someone who outweighed me by like 100 lb.. i didn't get knocked out, but I did split my head open really bad.. I've always wondered if that caused some damage. I also started getting headaches after some hard sparring sessions.. The crazy thing about that is, no headaches for like say, 50 sparring sessions.. then headaches started happening out of nowhere. It freaked me out. I would have thought i'd get headaches earlier, but it was the opposite.. I was also sparring more skilled people though when I started getting headaches. I didn't take lots of direct shots, but even blocking punches can rattle your brain I imagine. I've often wondered if i've had some kind of damage to my brain.. usually it centers around being able to learn/concentrate, or just negative/depressive thoughts etc.. I felt like all of that was way better prior to say, 2009 or so.. head collision was ~2003, boxing was ~2005-2007. It's really hard to explain but basically, my mind has felt "different" than when I was younger or in college etc.. Definitely feels different now. Could just be due to aging but i dno, I don't get the vibe that these perception of "changes" are normal.. in a nut shell, it "feels degenerative". I should have gotten it checked out when I had good insurance. 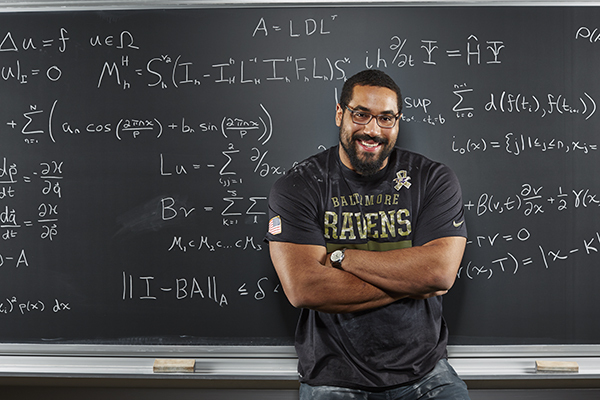 urschel is such a beast. 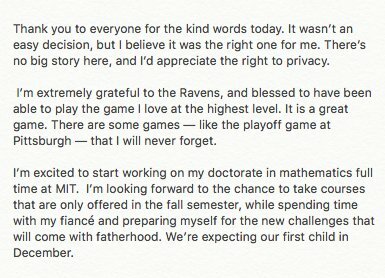 full ride to a good school, even if their football program should be nuked from orbit; earned $1.8M in three years in the NFL; bout to get his PhD from MIT; engaged and will be a father by december. winning at life. Playing tackle football under the age of 12 exposes children to repetitive head impacts that may double their risk of developing behavioral problems and triple their chances of suffering depression later in life, according to a study published Tuesday in Nature magazine’s journal, Translational Psychiatry. tobacco completely fine for you, say scientists hired by tobacco companies. global warming is not caused by humans, say scientists hired by oil companies. someone please put these coaches in prison, thanks.